Mix water, lemon juice and sugar in large pitcher until sugar is dissolved. Refrigerate about 3 hours or until chilled if desired. 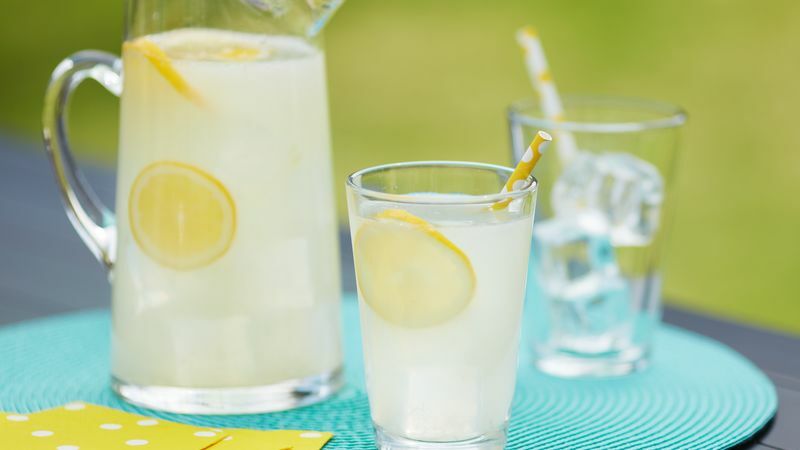 Serve lemonade over ice. Garnish each serving with a lemon slice and cherry. To get the most juice from the lemons, let them stand at room temperature or microwave on High for a few seconds before squeezing them. Rolling the lemons on a counter while pushing down firmly to break the tissues inside will also release more juice. Tastes for sweetness of lemonade vary, so feel free to adjust the sugar to your taste. You may want to make this on the tart side and let guests add sugar if they prefer it sweeter.